These are default replacements for the harvested Orchard fruits. They do not affect the orchard trees themselves. 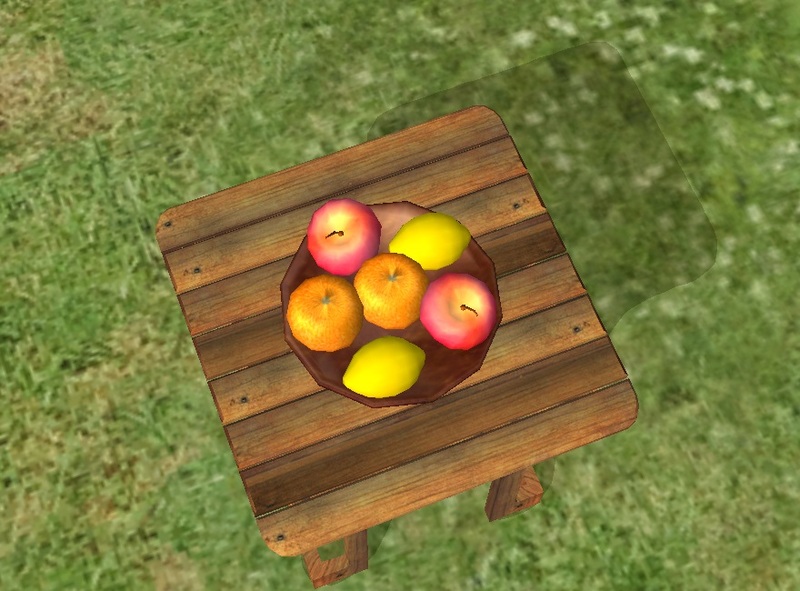 I have tweaked the meshes, textures and placement, but the main change is an added "Eat Fruit" interaction for each one, similar to my custom peaches and pears. The interaction is available for Child upwards, advertises to the hunger motive and is autonomous. As well as filling the hunger bar (a little - it is a snack) eating fruit is enjoyable for some Sims, depending on personality. Neat Sims like apples - they are crispy and you don't get covered in sticky juice. Active Sims like oranges - for the vitamin C. Grouchy Sims, of course, like sucking on a lemon. I have also added a "DEBUG - Change material" interaction to the oranges and lemons (apples already had it) so, if you play in debug mode you can change the quality of the fruit after placing it. 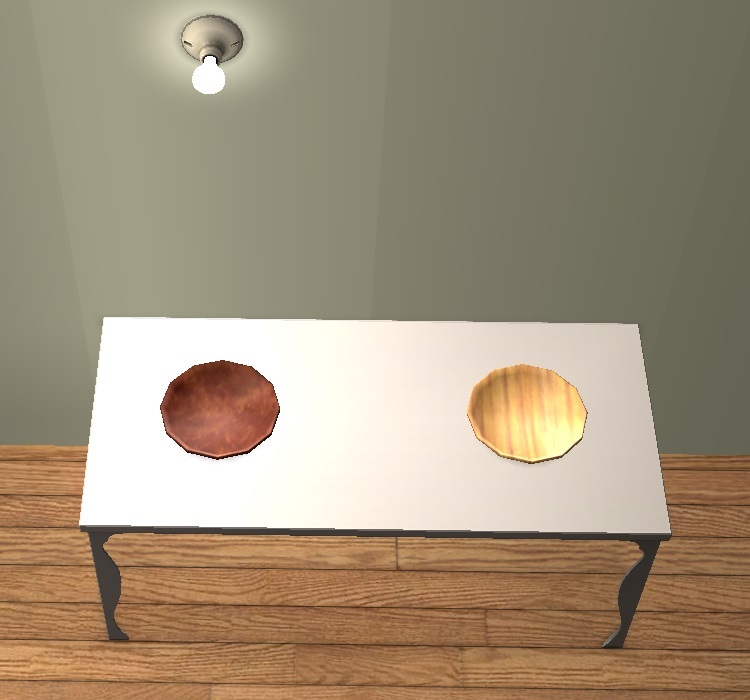 Talking of placement, I thought my original fruit plate might be too fancy for a lot of Sims, so I have made a plain, wooden version as well. It is available under Decorative/Sculptures for $80. The fruits of course, aren't in the catalogue at all, they have to be harvested from the trees. If you already have harvested fruit in your game when you add the defaults, it won't have the placement options or interactions available to it. You will have to wait until you harvest a new crop before your Sims can eat it. The fruit requires Seasons, and the plate is base game compatible. They have been tested in my game, which has all EPs and SPs. I can confirm that you can still make juice from them, and that they can be packed and unpacked using the SimWardrobe Produce Packing Station, if you have that. Edited to add: If you use BoilingOil's More Realistic Yields mod, my fruit will need to load after it. Other textures used including wood textures are in-game textures. Gwenke - For her conversion of the Castaway Stories harvestable tropical trees. I used the code in there as a model for my "eat fruit" interactions. The makers of Simpe, Blender, Paint,net etc. and all the cool tools we get to use for free. Maxis, for creating the game. 107 people have said thanks to Aysarth for this download.